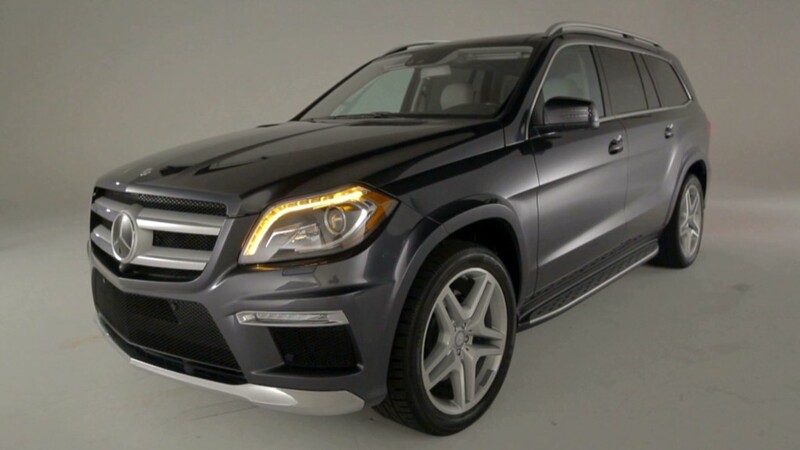 The Mercedes-Benz GL, a large luxury SUV, was named SUV of the Year by Motor Trend, the magazine announced Monday. The GL isn't a cheap ride. The entry level GL350 starts at $63,305, while the top-level GL550 starts at about $88,500. With all the options, the GL550 tested by Motor Trend was priced at an ultra-hefty $108,310. The electric car Smart ED is possibly the best value yet among zero emission cars. But, even at those prices, the GL still represents a strong value and a good buy given all that it offers, the magazine said. Despite the rise in gas prices, SUVs, which have become lighter and more fuel efficient thanks to engineering advancements, remain a very popular choice with car shoppers. To decide on the SUV of the year, the magazine started with every all-new or fully redesigned SUV model for the 2013 model year. Since these vehicles covered a wide range of types and prices, from small crossovers like the Subaru XV Crosstrek and the Honda CR-V to big vehicles like the GL and the Nissan Pathfinder, the vehicles were not compared directly to one another. Instead, each vehicle was rated against six standard criteria: Design advancement, engineering excellence, performance of intended function, efficiency, safety and value. The winning vehicle would be the one that performed best against those six criteria, regardless of its price or size. All the vehicles were put through a series of tests that included test-track maneuvers as well as on-road and off-road driving. In the end, Motor Trend's judges narrowed the field of 11 eligible models down to just three. Besides the GL, these were the Nissan Pathfinder and the Ford Escape. But the GL ultimately drove off with the award. Despite its high price, the GL still did well against the judges "value" criteria because those numbers are right in line with other big luxury SUVs like the Cadillac Escalade and Infiniti QX56, while the GL offers a better experience and better technology. Even though the QX56 and Escalade weren't entered in the contest --- because they're not new or redesigned -- the judges still had to consider each vehicle in the context of its own market segment, said Motor Trend senior features editor Jonny Lieberman. The winning vehicle had to be something that wasn't just best in this group but best-in-class, too. "The GL is not only the best-in-class, but probably the best this class has ever seen," Lieberman said. "The GL just doesn't fall down anywhere." The judges liked the GL's broad range of engine choices offering a range of price, fuel economy and performance options. The GL350, with its V6 diesel engine, impressed the Motor Trend judges with its efficiency as well as its pulling power. The mid-level GL450 and the high-end GL550 come with turbocharged V8 engines. Among the hi-tech options that impressed the judges was a parking camera that allowed a driver to see, simultaneously, a view out the front or back of the SUV as well as a simulated overhead view showing all around the vehicle at once. "If you're a mother and you've got three screaming kids with you, that thing's a lifesaver," said Lieberman. Besides SUV of the Year, Motor Trend also gives an award for Truck of the Year and Car of the Year. Those awards were decided in separate competitions and the winners will be announced later this year.